Want to “fall” into a new home? The latest luxury real estate listings from the Coldwell Banker Global Luxury® program will delight, surprise and inspire you. At Natura you will find privacy, tranquility and the beauty of nature within an estate of 114 sprawling acres. Consider it a hidden paradise where you can retreat in peace from the outside world. The unspoiled natural environment of the property includes a spectacular tropical garden surrounding the elegant master residence situated on a plateau overlooking coffee and sugar cane fields and to the distant mountain range of the Central Valley. All ground floor rooms have direct access to the covered terraces and porches with views to the reflective water pool and the inspiring Balinese Pavilion, inviting you to relax and enjoy. A large free form pool creates a striking central decorative element in the meticulously landscaped tropical gardens with dozens of mature coconut palm trees and thousands of flowering plants and bushes to attract butterflies, hummingbirds and beautiful birds. Stepping into the house is like finding yourself in a magical world. A world-class combination of timeless architectural design and craftsmanship, this private sanctuary offers old-world elegance with modern conveniences, breathtaking gardens and extraordinary water views. A tranquil 7.2 acre setting in Orono features more than 700 feet of south facing shoreline. A palatial residence beckons with over 15,000 square feet, five bedrooms and amenities such as a flawlessly designed gourmet kitchen, gorgeous and sprawling master suite, a pool with a pool house and intricate details at every turn. One of the most private compounds minutes to the Beverly Hills Hotel, this gated warm contemporary is exquisitely finished throughout and features a separate guest house at end of a cul-de-sac spread over a magnificent landscaped setting. An impressive double-story foyer unfolds to the living room, dining room and kitchen/ family rooms, which all open to indoor/outdoor living with Fleetwood glass doors. A chef’s kitchen featuring Miele appliances and center island flows to the breakfast room, lounge seating area and an additional outdoor breakfast area. The luxurious master suite is a true private oasis with approximately 2,300 square feet, beautiful city and ocean views, his/her baths and oversized dressing rooms with separate gym/ massage room, sitting room and office. A home theater, library, wine room and multiple outdoor seating areas and decks surrounding the home’s first and second floors. European oak flooring, custom lighting features, home automation system, a 3-car garage plus additional covered parking. A warm and timeless compound w/ unmatched privacy. 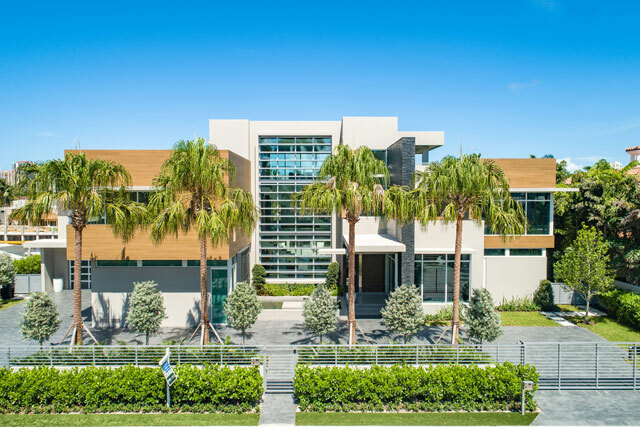 This brand new, ultra modern estate in Fort Lauderdale features 131-feet of prime water frontage, offering the future buyer quick and easy ocean access. As a fully automated smart home, the seven-bedroom residence has an integrated sound system, seven zone A/C and camera security system. Other details will certainly impress the modern-day buyer. Prepare to be wowed by the Arclinea Italian-made kitchen with a motorized island, Sub Zero and Wolf appliances. Entertain in the third floor club room with full bar. As a convenience, there is a partitioned captain’s quarters with separate entrance. Every amenity — from a custom elevator to three gas fireplaces and three washer/dryers — has been thoughtfully been placed inside the home for a completely seamless luxury living experience. Enjoy the Fort Lauderdale lifestyle with an oversized pool, spa and three fountains, as well as a sleek outdoor kitchen with BBQ. The Razor House was named after Razor Point — fitting for a property that pays homage to a cinematic landscape where cliffs meet the infinity of ocean. White concrete, stainless steel and glass rise in a cantilevered design, offering some of the most hypnotic panoramas of the Pacific. Nature passes through the house via floor-to-ceiling walls of glass. A detached guesthouse and stunning outdoor terraces, including a rooftop entertaining space with outdoor kitchen & spa reveal a reverence for the surroundings. This property presents an extraordinary opportunity to live in and appreciate one of Lake Geneva’s finest estates. 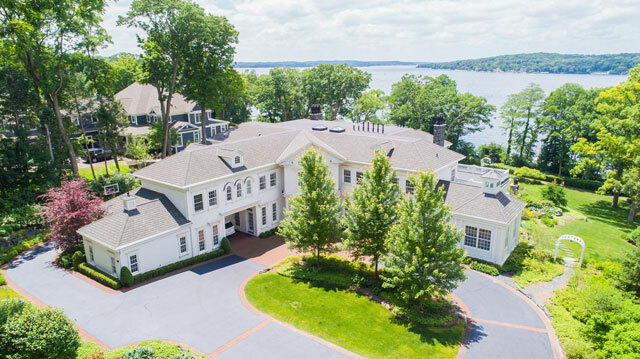 Located on 3.5 manicured acres with 210 feet of lake frontage in a sought-after walk-to-town location, this exquisite residence merges comfort and elegance with thoughtful design and beautiful appointments. Today’s discriminating buyers will love the amazing floorplan, rich millwork and quality materials along with every well-chosen amenity. It was tailor-made for entertaining and hosting large extended families, thanks to a stunning Great Room, stately library, formal dining room and cozy family room — each with a fireplace and access to the expansive veranda overlooking the lake and pool. Upstairs, there are 12 bedrooms and 10 baths, including a spectacular master suite with spa-inspired bath and private screened porch. The gorgeous white kitchen with two islands and a separate breakfast room. a lower level entertaining space features another great room, two kitchens, an exercise room and two baths for the pool. A car garage, elevator and resort sized pier with two boat lifts make this outstanding property luxury lake living at its best. This gracious Italian villa sits behind gates at the top of a Beverly Hills quiet canyon, commanding expansive views and inviting lavish entertaining. Serene interior spaces with bespoke finishes, high ceilings, walnut and limestone floors, and vast expanses French doors open onto portico, patios, and pool. The main level features exquisite dual great rooms, formal dining room, salon, executive office, maid’s room, lavish guest suite, and an enormous chef’s kitchen with breakfast room. A stunning staircase and elevator provide access to all three floors. Above, four elegant en-suite bedrooms open onto a balcony, while the vast master suite has a fireplace, dual bathrooms, walk-in closets, and a private terrace. On the lower level, there is a billiards room with wet bar, screening room, temperature-controlled wine cellar and saunas. The amazing grounds feature an outdoor kitchen, covered and open seating areas, manicured gardens and a gorgeous zero-edge infinity pool and spas. And the best part? This superb estate is offered fully furnished. Aspen’s latest architectural masterpiece by Ro|Rockett Design is a timeless statement in warm modernism. This under-construction sanctuary, scheduled for completion December 2019, weaves together a private sanctuary of 10,014 square feet of interior space and 4,923 square feet of outdoor living space designed by Lift Studio-all set against the cinema of dramatic Aspen views from Independence Pass to Mt. Sopris. Inside, a meaningful indoor/outdoor connection is expressed by voluminous entertaining spaces framed by large picture windows and sliding walls of glass that open to the outdoors. A feeling of openness permeates the entire residence, from living room and family room to kitchen to the seven en-suite bedrooms. Every detail in the house has been curated to create a year-round living environment. 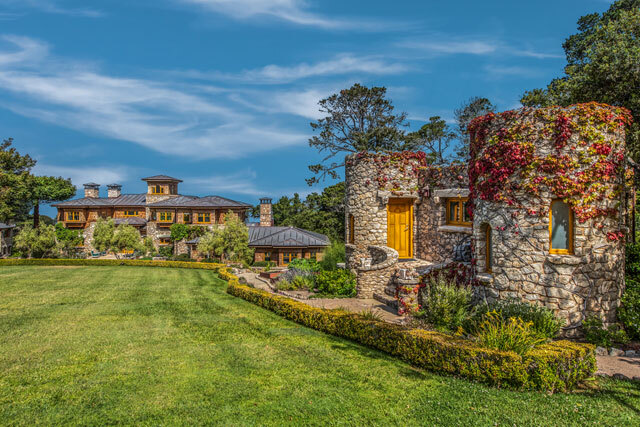 Just minutes from the famous attractions of Carmel and Pebble Beach lies this once-in-a-lifetime residential oasis. An unrivaled combination of privacy, convenience, and serenity meet on over 14 acres of lovingly manicured grounds protected by gated entry and a stone wall perimeter. The main house plus three guest houses feature over 12,000 square feet of ocean view living space and have been masterfully reimagined, sympathetically updated and painstakingly restored by architect Ray Parks using timeless materials including mahogany, stone and redwood. There are many areas to enjoy the natural beauty of outdoor living, including a swimming pool, tennis court and a variety of ocean view patios. This is a property that truly must be seen to be appreciated. 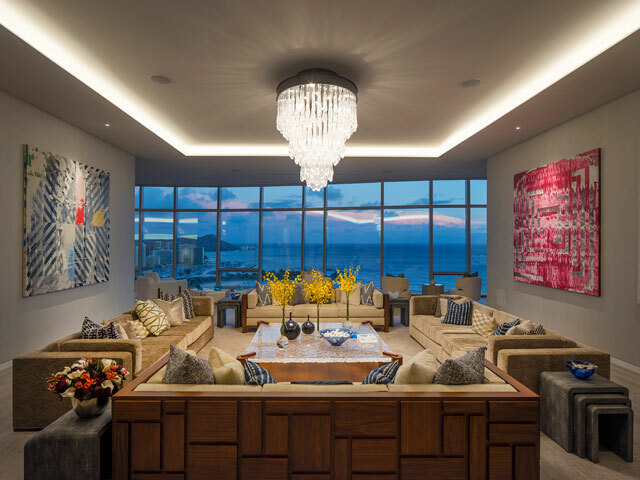 Hawaii’s most exclusive Grand Penthouse residence, rivaling the greatest Penthouses in the World. Waiea GPH 36, represents the pinnacle of high-end luxury living and architectural sophistication with its sweeping water inspired glass façade, high ceilings and stunning 365 degree view orientations. Elevators open to a magnificent foyer directly into this exquisite two story estate in the sky of over 10,600 square feet of luxurious living with over 1,570 square feet of decks, a private rooftop infinity pool/spa, separate guest apartment, wine room, media room and private four car garage. Designed by award winning architect James K.M. Cheng and WCIT Architecture, with interiors by internationally acclaimed Tony Ingrao, who captured the essence of Hawaii and elegance of the World.